SBP-Banking Services Corporation – It supports the regulator in performing functions related to currency management, credit management, interbank settlement system, public debt management, foreign exchange and export refinancing etc. National Institute of Banking and Finance – It is the training arm of the regulator (SBP) which is responsible for imparting training and capability building of employees of SBP and conducting various courses for financial Institutions to keep abreast with the latest in the Banking Domain. Deposit Protection Corporation – It is responsible for ensuring protection to the depositors of members financial Institutions which are regulated by SBP. It defines the quantum of deposits to be paid in the unlikely event of failure of any member financial Institute which is regulated by SBP. Founded in 1941, Habib Bank Limited is the largest bank by asset in Pakistan. It operates through its wide network of 1751 branches and 2007 ATMs and provides services in the areas of Branch banking, Corporate Banking, Retail Financing, SME and Investment Banking services. It is headquartered in the capital of Pakistan i.e. Karachi. The bank has its branches in various countries including Europe, Australia, Middle East, America, Asia, and Africa. The shares of the bank are listed on Karachi Stock Exchange. Meezan Bank is Pakistan’s first and largest Islamic Bank which commenced its operations in 2002 after being issued the first ever Islamic Commercial Banking license by the State Bank of Pakistan. It operates under the principle of Islamic Shariah and is recognized for its product development capability, Islamic Banking research and advisory services. 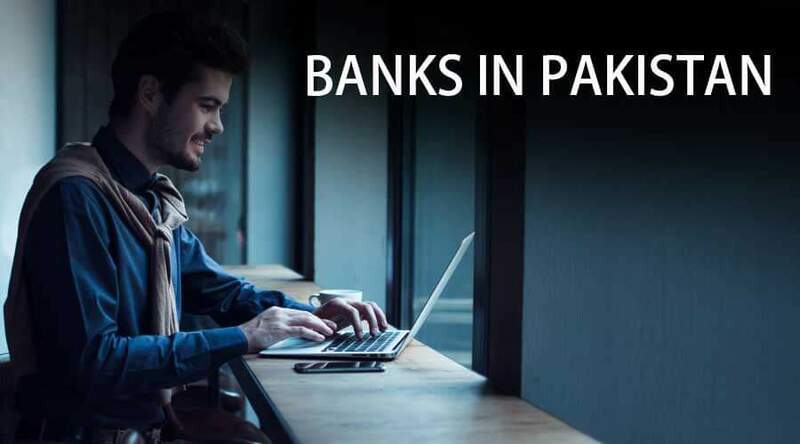 It provides a wide range of Islamic Banking products and services through its wide network of retail branch network of more than 600 branches across Pakistan. The Bank has been conferred with major recognition from various local and international institutions as the Best Islamic Banks in Pakistan. As of Dec 2017, the Bank has a healthy Capital Adequacy ratio of 12.89 percent. It is headquartered in Meezan House, Karachi, Pakistan. Bank Alfalah is the fifth largest private Bank of Pakistan and commenced banking operation from 1st November 1997. The bank operates with more than 600 branches across Pakistan and has an international presence in Afghanistan, Bangladesh, Bahrain and a representative office in UAE. The Bank is owned and operated by the Abu Dhabi Group and it provides financial solutions to retail consumers, corporations, Institutions, and government through its wide array of products and services. Strengthened with the banking of the Abu Dhabi group and driven by the strategic goals set out by its board of management, the bank has invested in revolutionary technology to offer an extensive range of products and services. The Bank is headquartered in Karachi, Pakistan. MCB Bank Limited is one of the oldest and top banks in Pakistan. Founded in 1947 the bank was nationalized in 1974 as part of Government of Pakistan’s economic reform movement and was later privatized in 1991. The Bank has been conferred with prestigious Euromoney Award for Best Investment Banks in Pakistan for two years in a row (2016 and 2017). It provides commercial banking and related products and services in Pakistan, South Asia, Middle East, and Eurasia. The Bank is headquartered in Lahore, Pakistan. The Bank has a customer base of approximately 4 million and total assets of around Rs 300 billion and operated through a wide branch network of more than 1100 branches. Founded in 1959, United Bank is one of the oldest and largest commercial banks in the private sector in Pakistan. The bank operates through a wide network of more than 1390 branches across Pakistan and has an overseas presence in more than 19 countries. The Bank is engaged in commercial banking and related services and is headquartered in Karachi, Pakistan. The Bank boasts of a strong financial profile and consistent profitability record and specializes in Retail Banking, Corporate Banking, Investment Banking, Treasury Services etc. The Bank’s shares are listed on all three stock exchanges of Pakistan and its Global depository receipts (GDR) are listed on London Stock Exchange. The Bank employs more than 10000 people and is committed to providing the best banking experience to its clients.